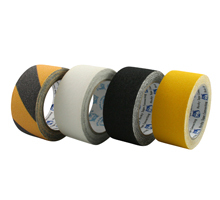 High quality safety tape ideal for identifying potentially dangerous areas and ensuring a safer working environment. Designed to help prevent slips, falls and accidents its high grip finish can be used on stairs, ladders, trucks, work vehicles and sporting equipment. It can be easily applied to any clean, dry surface in seconds having immediate visual and functional effect.